Hi-de-hi campers. This Sunday I bring you another edition of Lootcrate unboxing! Yep, you’re probably wondering why it says January in the title, and probably want to nudge me to tell me it’s March. It was late, again (but more on that later). This month’s theme was The Ties That Bind Us, and just like last month, I decided to stay away from looking on Instagram and Twitter for Spoiler’s. The postman handed me this as I walked out of the door on the way to work, I literally tore into it as soon as I was in the driver’s seat!! I have to say, the more crates I receive, the more and more impressed I become with the packaging/crate itself. 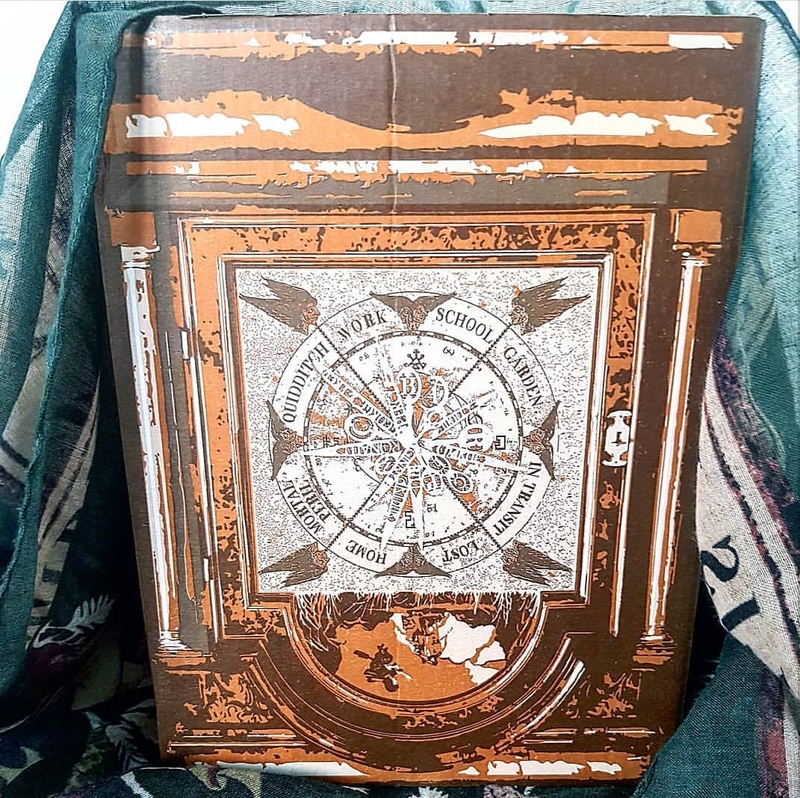 This month, when the box was dismantled and refolded, it created the Weasley Family Clock, which given the theme could not have been more appropriate. Pretty awesome, eh?! Once again though, I have going to have to have a little bit of a complain, which is a huge shame. Just like November’s crate, this one arrived substantially late. We all received an email back in mid-January stating that there would be a delay. I was pretty annoyed and upset, as the excuse was feeble and thin at best (again) and the apology was made with the aid of a Loot Vault credit. You’re probably thinking that’s great, and it is if you live in America, but the colossal amount they charge in postage makes the credit fairly useless for a UK customer. C’mon guys, think of the global fan-base here!! I was quite annoyed by the responses (or lack there of on Twitter), the ones I did get were short, defensive, and lacking any form of apology. The messages on the chat reply, in the gentleman’s defence, were understanding, but if I am brutally honest, I don’t care if he is also a fan who receives the box, I want a good reason why it’s delayed, and a valid reason as to why UK customers are at a disadvantage with the Loot Vault apology when we pay more to receive out crate in the first place. Finally, we get to the crate itself. Once again, I know without a doubt it has been curated with care and thought, however, throughout the marketing, payment stages, it states clearly to expect 5-7 items, many of which are exclusives, and this month didn’t seem to meet those criteria. I do love the crate, but it’s a bit of a kick in the teeth to pay so much, have it delivered nearly two months late, receive poor customer service, to then actually receive less items that promised. So, before I actually introduce this month’s items, I just wanted to tell you something. I have a 3 box subscription, of which this is the first of this cycle. I’ve paid up front for the next two boxes, but I have come to the sad decision to end my subscription. Prior to receiving these crates, I was signed up to receive Loot Wearables for over a year, so I’ve been a loyal customer for quite a while, but don’t feel like they offer a service that is value for money, or of good enough quality to maintain such an expenditure. Please, enjoy this and the next two unboxings, and if you have any other suggestions of subscriptions to sign up to, I’d appreciate it! Loot crate is a monthly subscription box full of exclusive collectables, apparel and gear delivered to your door. 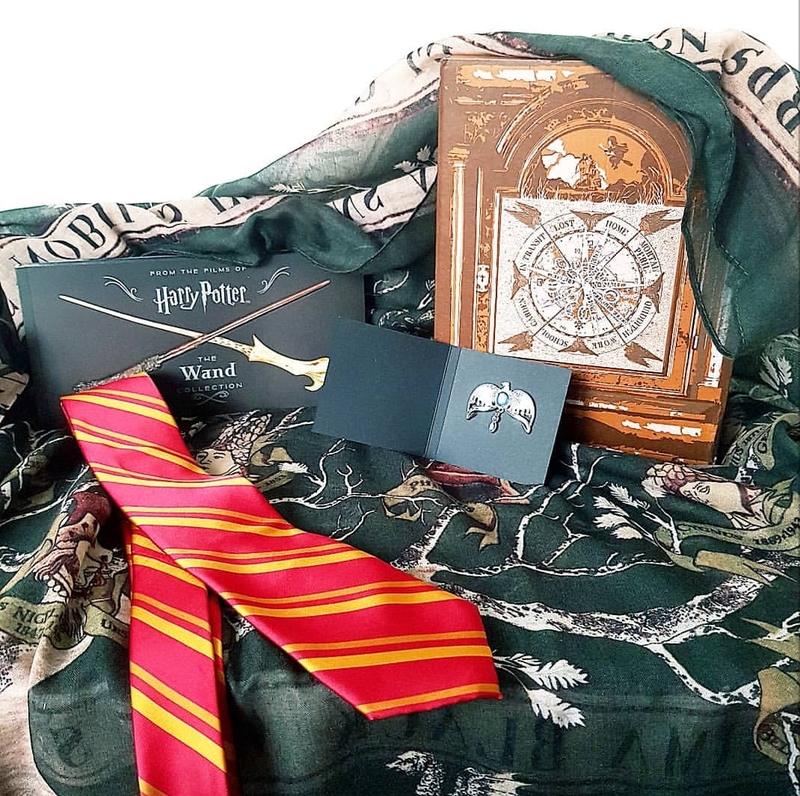 I am currently subscribed to receive the Wizarding World crate, a bi-monthly subscription that brings the magic of Harry Potter, Fantastic Beasts right to your doorstep. I really think that this item is stunning, and it is probably my favourite item from any of my crates so far. 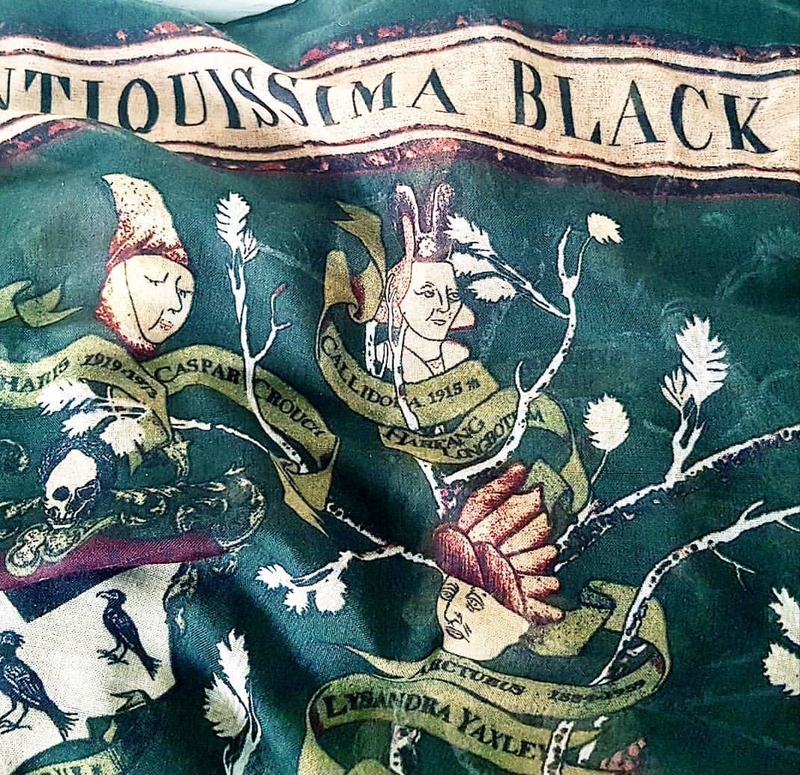 The Disney is uniquer and elegant, and when worn as a scarf, it isn’t instantly recognisable as merch, but rather looks like a beautiful piece. Once open, it perfectly represents the family try from the wall in Grimmauld Place, blasted faces and old portraits included. I wore it the same day as the crate arrived at work and was complimented on it a few times. I couldn’t resist using it as the back drop for my loot shots either! 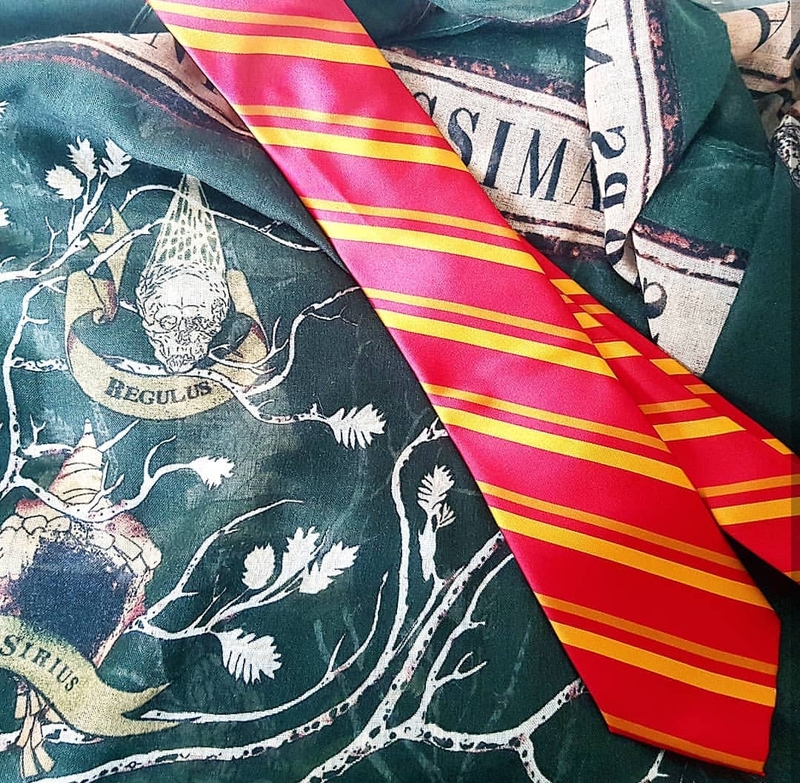 I don’t have as much Gryffindor merch as I probably should own, but that’s definitely changing. I really like the quality of this tie, and although it’snot something I would have bought for myself, it’s cool to have. It’s also very clever, y’know, because the theme is the ties that bind us. I see what you did there Lootcrate and I approve of you pun. 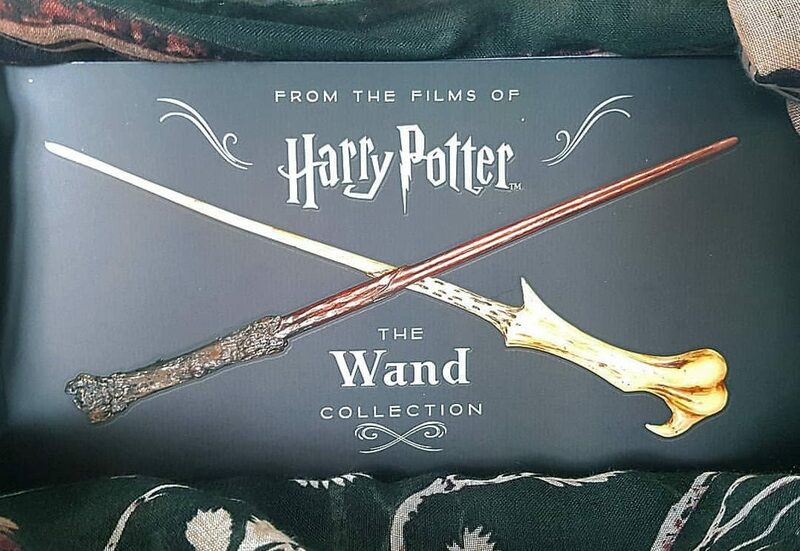 My friend and housemate Emma received this for Christmas, and now as I have a copy as well I can officially say that I loved it and was super jealous of it, to the point that I was going to treat myself to it later this year (once I had finished saving for Disney and Harry Potter World). It may not be an exclusive item, but it’s so nice to receive a thoughtful piece, and it’s extra special when it is something that you were going to buy yourself and hadn’t quite yet justified. 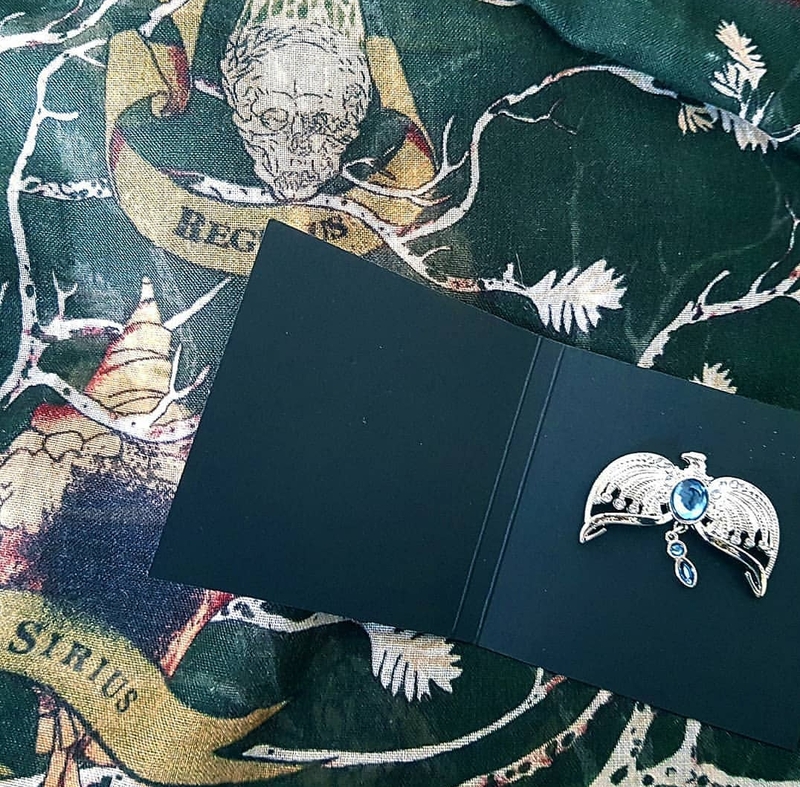 Each Wizarding World Loot crate comes with an exclusive magical collector’s pin. Pin collecting is quite big business, so the company have decided to make a pin to go in each box, which is exciting. There is such a limited number that it makes each one extra special. The delicate detail, the gemstone, and the intricacy make this my favourite pin by some stretch, I could see myself wearing this or pinning it into my Harry Potter shelf. Overall, this month was simultaneously enjoyable and disappointing. When your crate arrives nearly 2 months late, you’ve experienced poor customer service, and you only get 4 items when you’re promised 5-7, you’re never going to be completely happy. That said, I liked the items this month, so it could have been worse. Look out for the next crate unboxing, March’s theme is Enchanting Essentials! That’s such a shame and you’re rightly pissed about it! I’d be mad if I was promised a certain amount of things in a box and I didn’t get them. Saying that, that scarf looks gorgeous and I want it!!! I did worry for a while that I was being petty, but all it took was a ‘Hey Guys, so this month’s box only has 4 items, but we’ve gone all out and hope you like them’ kinda email, but it never arrived. I think it didn’t help that it’s the second late crate as well. I know, right, it’s absolutely gorgeous, I love it! !